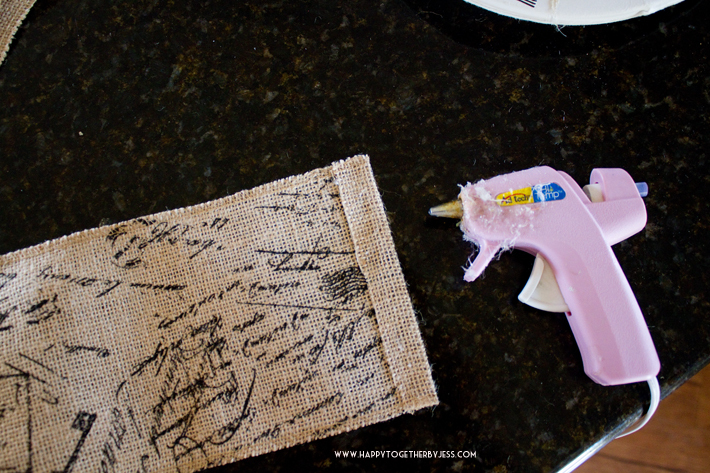 I have one more home decor project to share with you this week before I kick off a needed sewing week (my first blogging love). One of my good friends, Ashley, was blessed to move into an awesome new house last year. 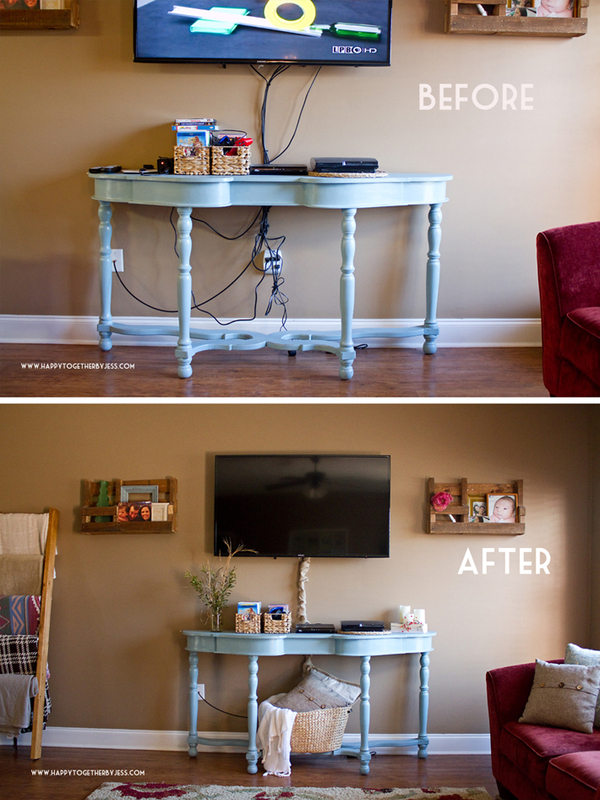 It’s been so fun watching her decorate and make (her dining room table, shelves, etc) many things for her home. 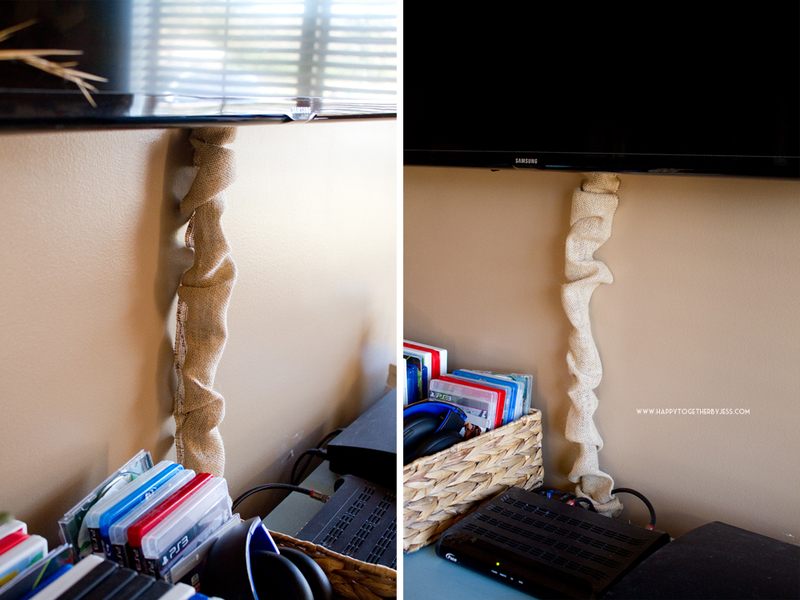 A few weeks ago she was talking about figuring out how to cover up these cords and I told her to let me come up with something. 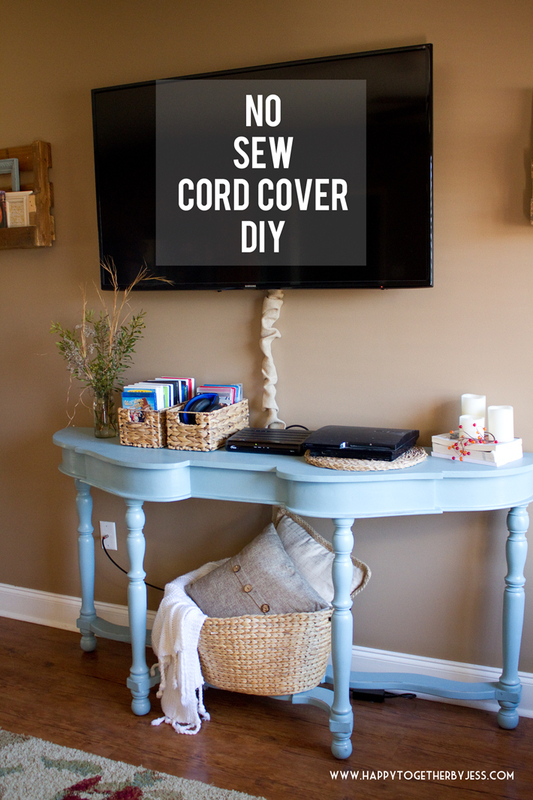 It would give me an idea to blog about and she would get a free cord cover from the deal. She more than gladly accepted. 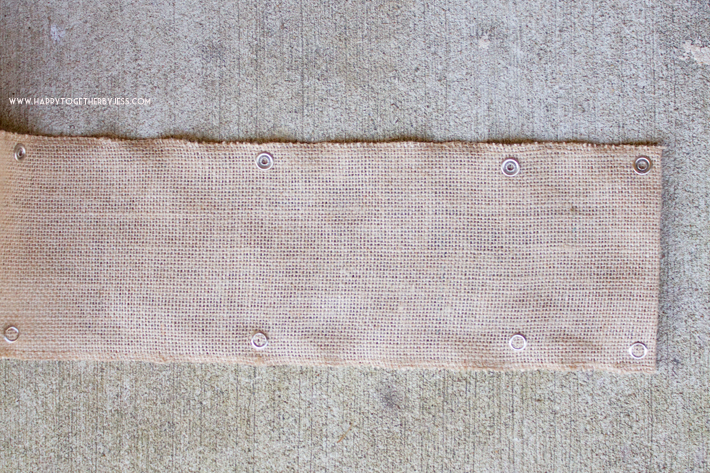 I went looking for some inspiration and was happy when I found this Pottery Barn burlap cord cover. My friend loves Pottery Barn style so I knew she would like this. 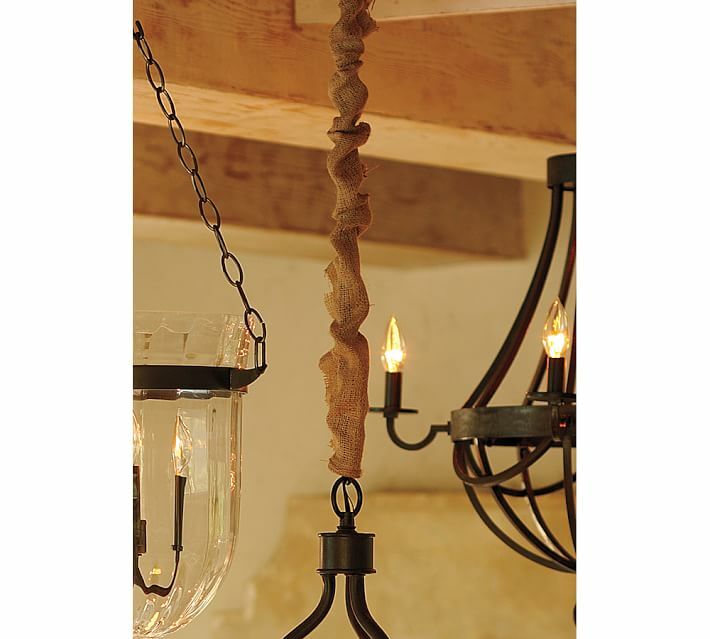 Here is a picture from the Pottery Barn site of their cord cover in use on a hanging light. 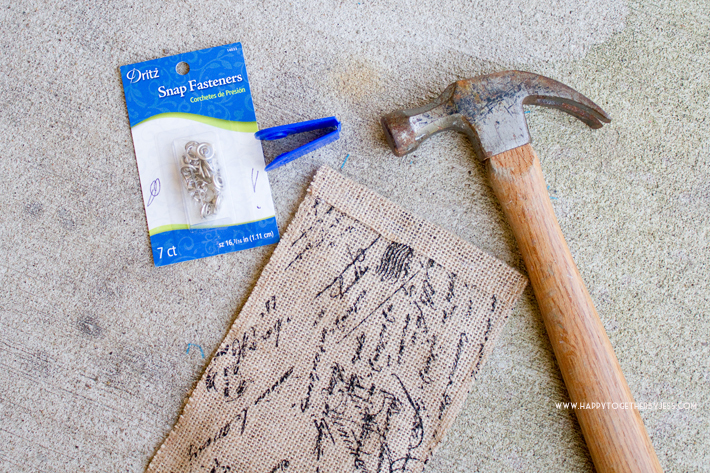 I first went to find some burlap that I wouldn’t need to sew at all. 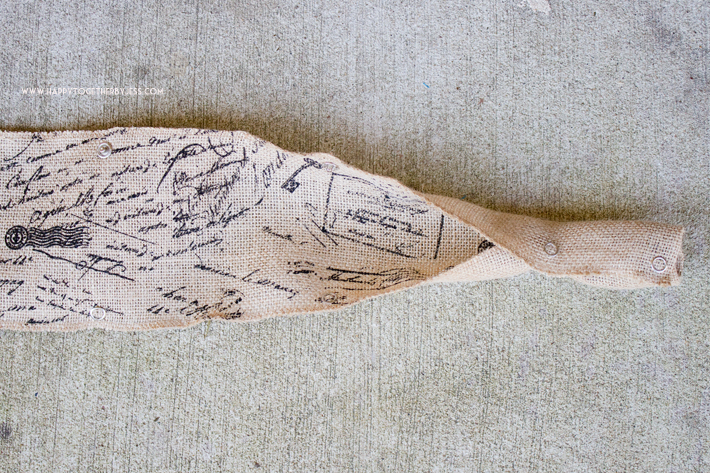 I couldn’t find a plain burlap ribbon that didn’t have such an open weave, but I did find this printed one. 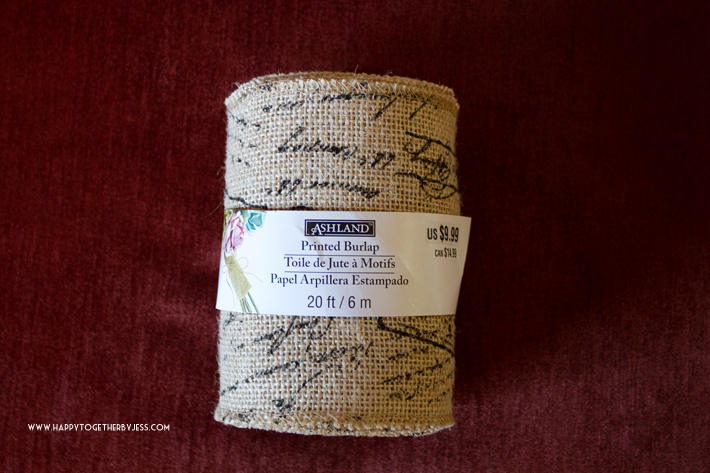 I looked on the other side of the burlap and you can’t see the print, so I knew this was the winner. Once you find your choice of covering material, cut a piece that is longer than what you need to allow for some gathering. I think I added something like two extra feet to this one. Then fold both ends in towards the inside and hot glue in place. 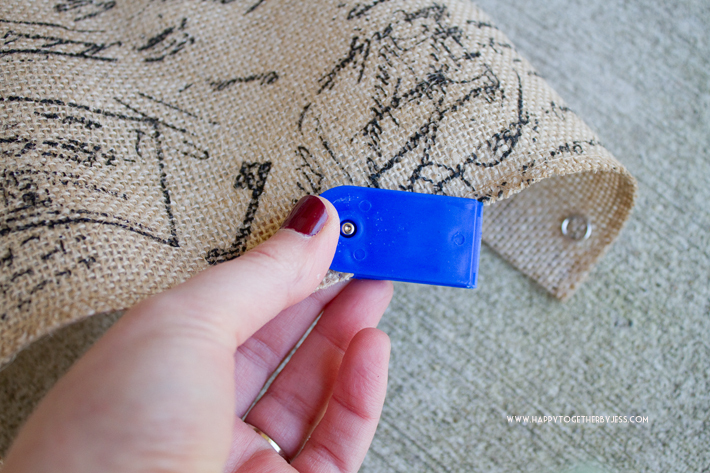 Next, use your fasteners kit to add snaps to both sides. then add the snap on top of it correctly. Place the blue tool on the bottom, matching up the piece into the hole. Then close it, matching up the snap into the other hold. Place on ground and gently hammer. It pushes the sharp ends into the snap so it will be secure. 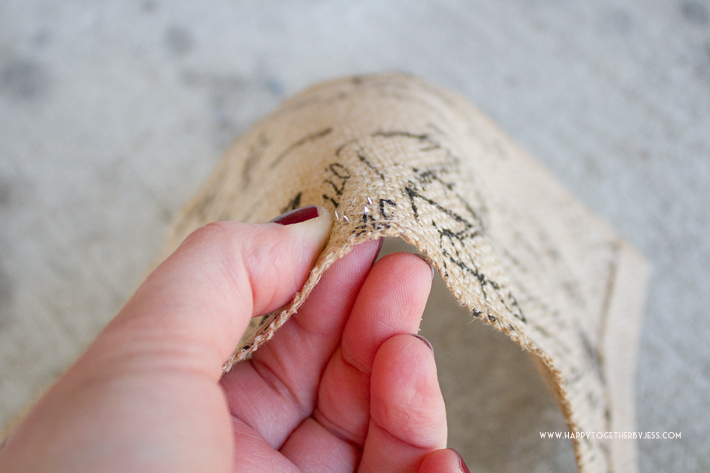 Continue to do the same side of the snap desired down on side of the burlap. I kept them a few inches apart, but I would add even more if I did this again. Add the opposite part of the snap to the other side. Just make sure that you put them on in the way that when they close they overlap the fabric. Like in this picture above. The good thing with this is that when I got to the place where the cords meet from all different things behind that table, I was able to snap around them to make it work. It doesn’t take long at all to make and can be used to cover many different types of cords. My friend is very happy with how it turned out, so it’s a win over here! Then to add even more cover up, I grabbed one of the toy baskets, added a blanket and some pillows on top, and put it in front of the outlet. 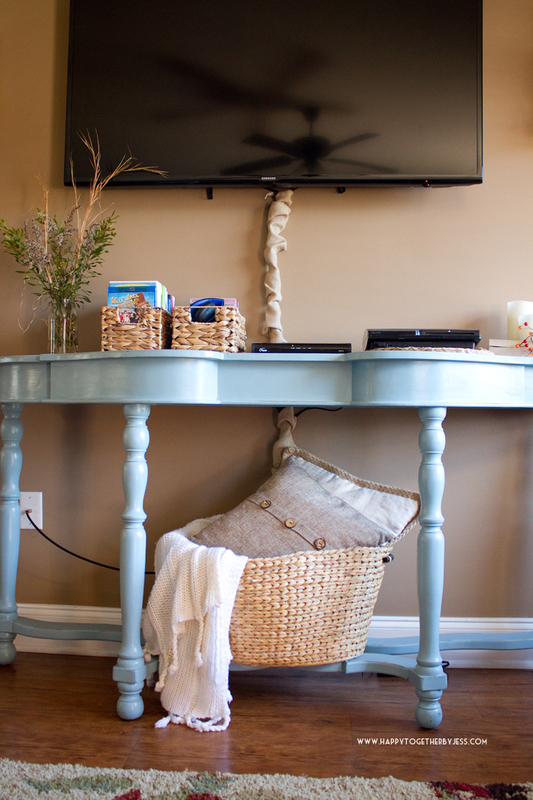 It can be moved when the kids need their toys or quickly put back in place when desired. I want that ribbon to use with that print. Any tips on where to find it?? 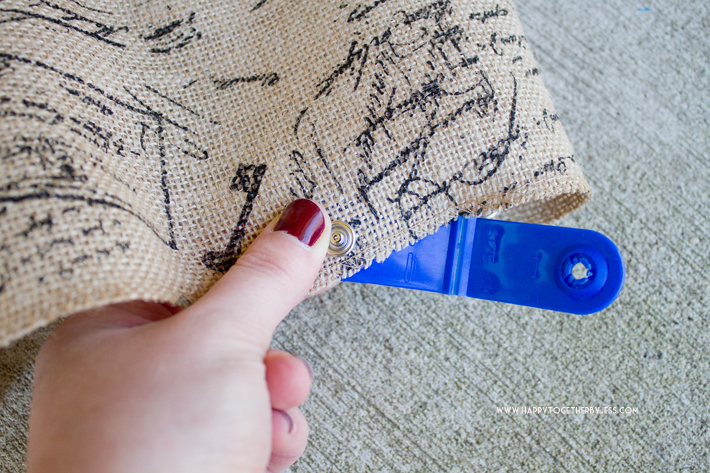 How wide is the burlap ribbon that you bought? ?